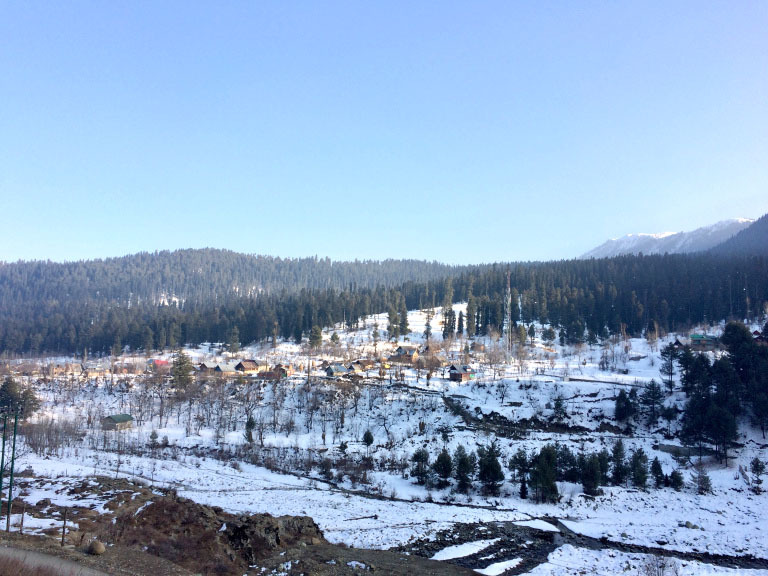 Drung, a picturesque tourist attraction under the mighty shadow of Afarvat Mountain and in the lap of Gulmarg, is dying; yes dying, even before it properly was born. Drung is an extremely diverse picnic spot, with everything offering something different. The gushing waters of Nalla Ferozpora, dancing trout in the crystal clear water and the overshadowing green pines rejuvenate a visitor and sky touching rocks thrill the sports lovers. During winters, huge slopes straight down from Gulmarg and Kogadoori are and skiers dream. Yes, this is what Drung – just three and a half kilometers from Tangmarg was when it was thrown open for tourists as a virgin tourist resort in 2003. Not that before 2003 it was unknown it had all along been an attraction as a picnic spot for local schools and an ultimate destination for people who enjoy fishing, mountaineering, and rock climbing. A 3.5-kilometer road stretch from Tangmarg leads to this destination. Moving like the snake, the road takes one through pine trees, overlooking the Nalla Ferozpora to an opening between two huge rocks walling the green waters of the Nalla. However, the road is more of cracks and pits and is too narrow and rough needing widening very badly to avoid road accidents. 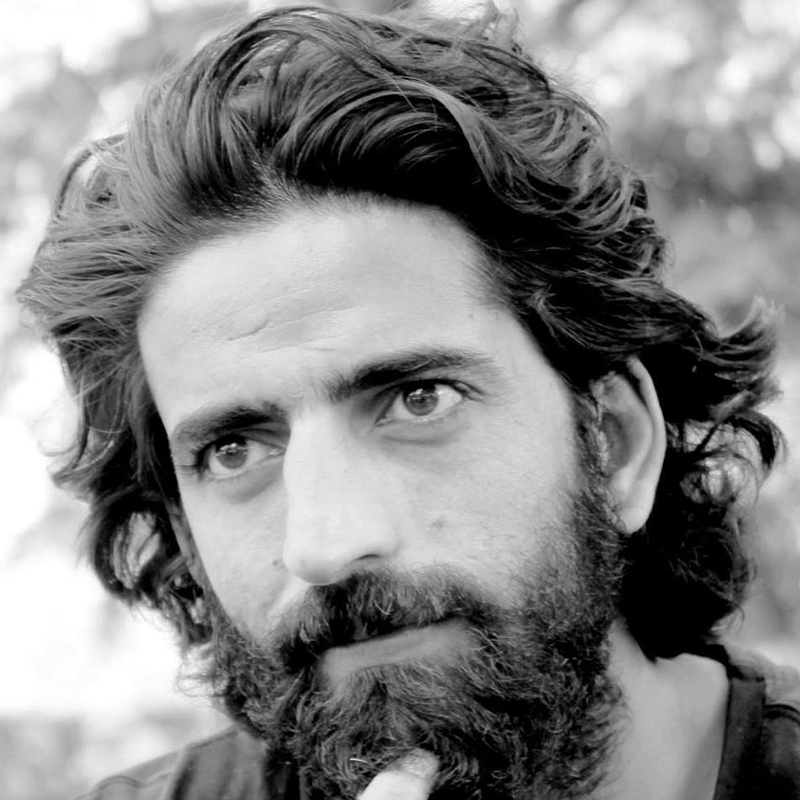 “I wonder when all the roads in Kashmir have been macadamized, why the concerned GDA and the R&B department have failed to mend this road. Its bad condition is making tourists to suffer,” said a local resident. Once declared open for tourists, the real estate prices in this tiny village and on its peripheries skyrocketed and a Kanal of land that would cost not more than Rs. 10, 000 was being offered anything between three to four lacs by moneyed people, particularly from big towns. Drung as a new tourist destination had a huge potential of rock climbing, camping, Skiing, Fishing, Trekking, pilgrimage and heritage tourism. And tourists started flooding the destination. It became the hub of domestic tourists during summers and a great attraction for foreigners (skiers) during winters. But destiny had something else in the store. The government commissioned a 7 MW power project to be built at Drung. The rocks, which were the ornaments of this spot where blasted and the gushing water, which made it a breathtaking destination was caged into huge ugly concrete canals. The rocks have been shattered, the river made invisible by storing all of its water into concrete canals and what about the trout? Trout didn’t vanish into thin air but the ill-conceived and unimaginative planners of the power project ensured their extinction. The power project may ensure the development of the area but development at what cost? Drung – an enchanting tourist attraction is breathing its last because of this ill-planned project. And what this project has turned Drung into is a living example how developmental projects bereft of environmental and ecological concerns can do to nature. At the end of the day, it is again Humans VS Nature. Nature has provided everything in abundance but humans seem hell-bent on destroying it and unfortunately in the name of so-called DEVELOPMENT.